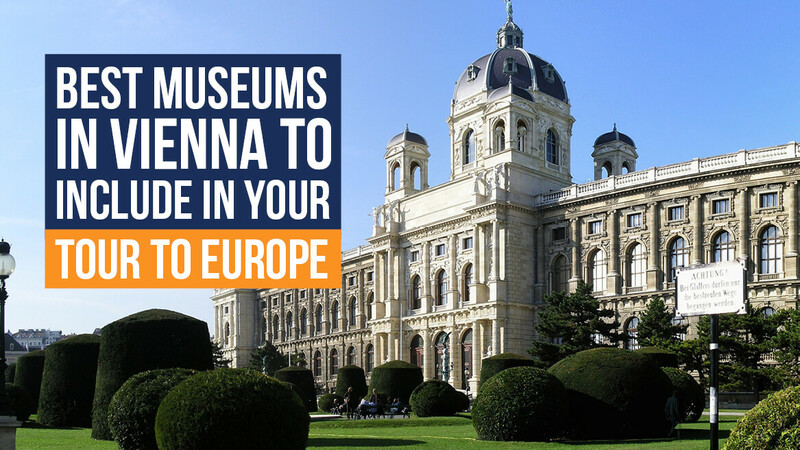 As all travelers know, exploring Vienna’s museums during a tour to Eastern Europe is a must. But with so many top museums here, it’s impossible to visit them all. There are prehistoric creatures to see, and brilliant architecture, as well as amazing art. Many places, from the Leopold Museum to the House of Music, keep their doors open until late in the evening, so it’s more convenient for the visitors. Here are a few superb museums you ought to include in your itinerary. This magnificent Baroque palace consists of two palaces, Upper and Lower Belvedere. Three floors of the Upper Belvedere are home to four hundred twenty works. Exhibitions include the history of the Belvedere; art from the Middle Ages, Baroque, Classicism, and Biedermeier periods; Vienna Modernism and the art of 1900, with the biggest Gustav Klimt collection in the world; and the art of the inter-war and post-war periods. In the Lower Belvedere, enjoy the grandeur and beauty of the Hall of the Grotesque, the Marble Gallery, the Golden Room, the Orangery, and the medieval art in the stables. Finally, you must see the glorious Baroque gardens with a pool reflecting the building’s façade, while the large terraces connect Upper and Lower Belvedere. Opened in 1889 near the Imperial Palace, this museum houses the history of the earth – of insects, animals, Neanderthals, gemstones, minerals – within its 20 million objects. Visit the digital planetarium; see the biggest and oldest collection of meteorites, extinct and endangered animals, the 29,500-year-old ‘Venus von Willendorf’, and the Gold Cabinet with objects from across five millennia. See the remains of prehistoric animals such as a bird of terror or a horned dinosaur skull, and a moving and growling allosaurus, and touch the left femur of a real sauropod! Built in 1891, opposite of Naturhistorisches Museum as its mirror image, as home for the imperial family’s collections, the Kunsthistorisches Museum is considered one of the world’s most renowned museums. It houses prestigious art such as the largest Bruegel collection, art by Raphael, Vermeer, Velasquez, Rubens, Rembrandt, Dürer, Titian, and Tintoretto, as well as the Egyptian and Near Eastern Collection, and the Kunstkammer Vienna (Chamber of Art and Wonders) with valuable art from the Middle Ages, the Renaissance, and the Baroque era. The Bank Austria Kunstforum of Vienna is primarily interested in art from the classic and modern periods, but also post-war avant-garde. There are over 9,000 artworks in their collections, as well as meticulously assembled themed exhibitions. The special exhibits include works by Kokoschka, Cézanne, Schiele, Waldmüller, Klimt, Picasso, Van Gogh, Lassnig, and many others. The entry itself is also an art piece, designed by Gustav Peichl. The palace of the Princely Family of Liechtenstein, with its awe-inspiring exterior, is where you’ll find one of the biggest Rubens collections, as well as brilliant artwork by van Dyck, Lucas Cranach, Raffael, Rembrandt, van Ruysdael, and Hamilton. You’ll also see one of the best-preserved French ceremonial coaches, and the most valuable pieces of furniture in the world, but also a great variety of paintings, sculptures, tapestries, and porcelain. While there, make sure to explore its gorgeous extensive gardens. The Albertina is the largest Habsburg residential palace, built on the Augustinian Bastion – one of the last remaining sections of the fortifications of Vienna. Here you’ll find one of the largest and most important print rooms in the world, and a collection gathered in 1776 by Duke Albert of Saxony-Teschen, with approximately one million master prints and 65,000 drawings. You can see the art from various periods, from French impressionism, over German expressionism and the Russian avant-garde, to the contemporary art, including Monet, Degas, and Renoir, among many others. Make sure to check out the architecture and photographic collections, and the staterooms with original furniture and wonderful decorations, where Archduchess Marie-Christine, and later Archduke Karl once lived. Fan of design? Then you must visit MAK! You’ll see magnificent furniture, china, silver, glass, and textiles, from the Middle Ages to the present day, all high quality with wonderful, unique designs. Check out the invaluable crafts from the Wiener Werkstätte, bentwood furniture by Thonet, art nouveau design of Gustav Klimt, colourful and simple Biedermeier sofas, but also various collections, like unique Viennese arts and crafts, Chinese porcelain, Japanese wood cuts, as well as many other brilliant modern and contemporary pieces. It’s time to play with your perception! This fantastic, interactive museum, located in downtown Vienna, has over seventy exhibition pieces, holograms, stereograms, and optical illusions. You’ll see your family growing and shrinking, and the ground will disappear below you in the vortex room; you’ll defy gravity in the inclined room, serve the head of a friend on a tray and take an amazing photo in an infinite room. If you have to wait a bit at the entrance, worry not, a magician is there to entertain the kids (but adults always have fun too).